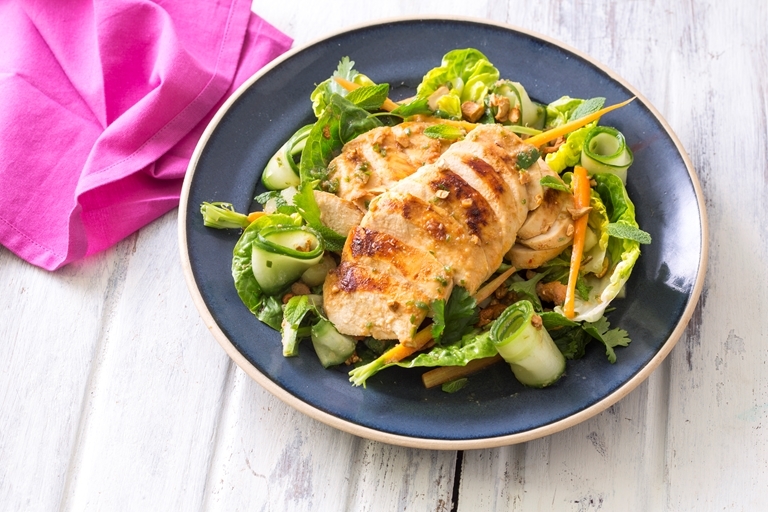 Chantelle Nicholson's Thai chicken salad recipe is packed with bold flavours. The dressing is beautifully aromatic thanks to lemongrass and ginger, while peanuts and water chestnuts give the salad a wonderful crunch. To make the salad, peel the carrots and cut lengthways into halves or quarters, depending on the size. Dice the water chestnuts.